A return to gracious living, or for the horse set, a weekend way of life that never went out of style. 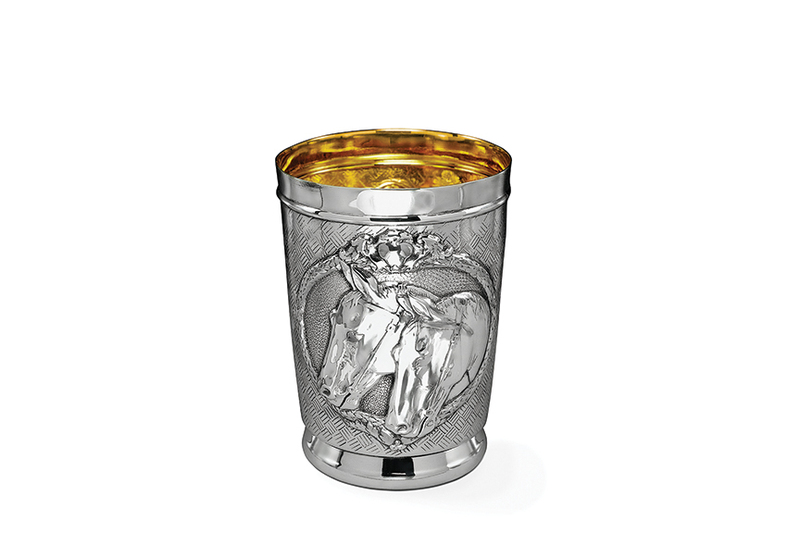 Our Double Horse Julep Cup displays tenderness and strength of two horses within a lovely leafy border. The mix of the smooth gleaming base and top edge with the textured body of the cup makes this a work of art. Height: 4 1/2". Capacity: 11 fl oz.